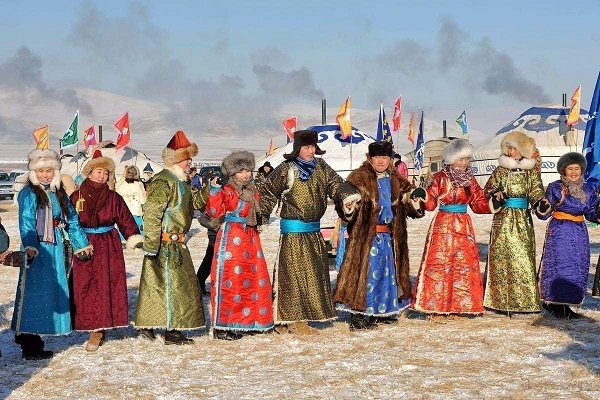 In ancient times, Chinese New Year, or Spring Festival, was called "white festival" in Mongolian as pure white milk-made food was served for the festival. 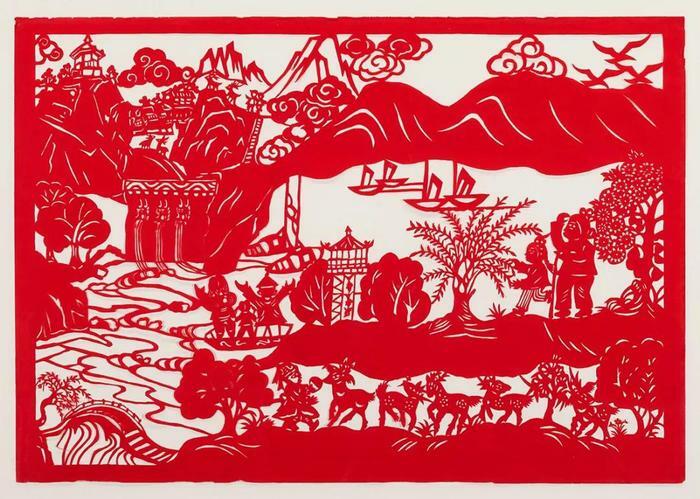 Paper-cutting is one of the key folk art skills in China, with a history that can be traced back to the Western Han Dynasty (206 BC-AD 24) when Cai Lun invented paper. 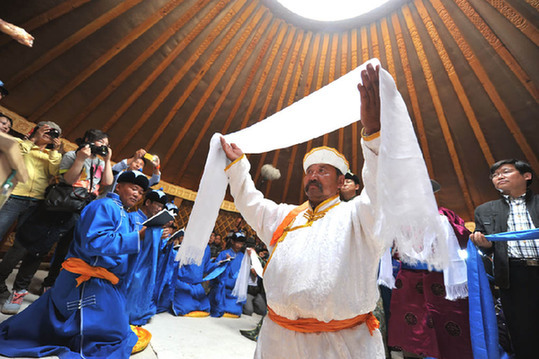 Held on the 17th day of the eighth lunar month every year since 1998, the Sixth Ovoo Cultural Festival opened in Baotou, Inner Mongolia autonomous region, on Sept 17, 2017. Many people picture a horse head fiddle and classic melodies, such as Hong Yan, when they think of Inner Mongolian music. The instruments used and music played have a strong nomadic style, which is always a gift to listen to. 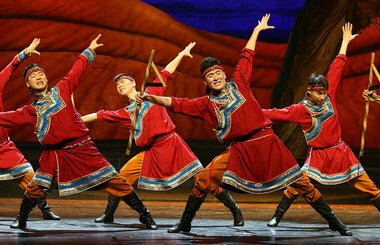 Inner Mongolian people love dancing and singing and have created many kinds of dances. Hasar Memorial Hall, located at the foot of Shaorong Mountain, is considered to be a consecrated sacrificial site. Sacrificial offerings at hall are dedicated to the extraordinary character of Hasar Khan. 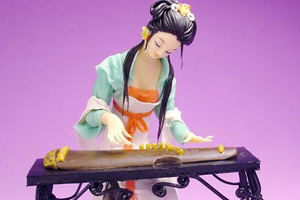 Baotou dough modeling is listed among the city’s intangible cultural heritage items in June 2012. 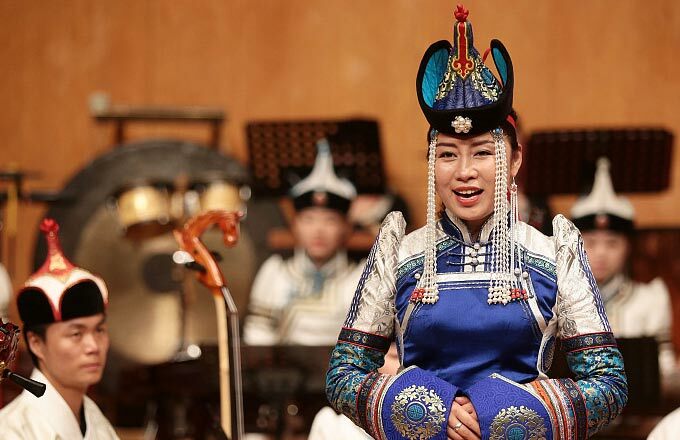 Errentai Opera is a traditional Chinese folk opera from Shanxi province which was developed in the west Inner Mongolia autonomous region, Shanxi, Shaanxi and Hebei provinces. 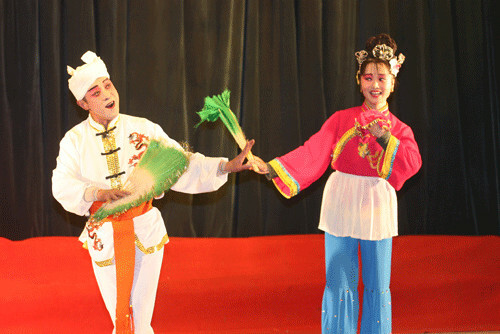 Marriage customs in Baotou combine ethnic culture, unique folk customs and melodious singing and dancing with hilarious activities. 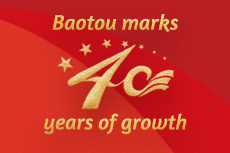 It embodies the diligence, courage and intelligence of Inner Mongolians.